These clever storage solutions and decorating ideas will have you looking forward to laundry day. Buy your own or take a cue from Mandi Gubler of Vintage Revivals and fashion a DIY countertop from plywood. You can fold your clothes right out of the dryer with more counter space. 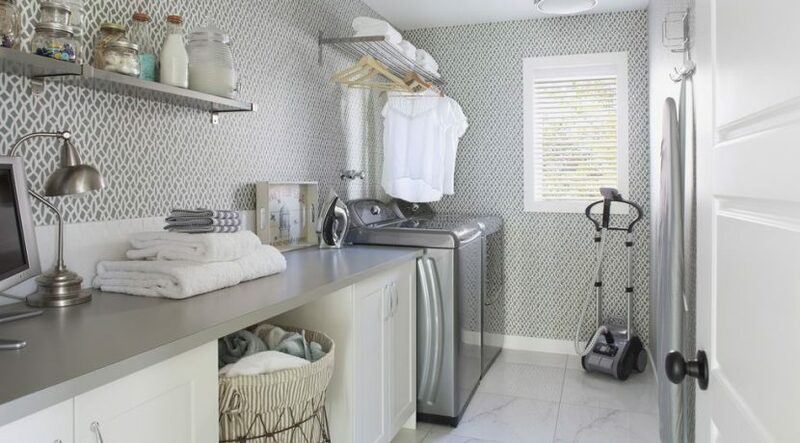 The laundry room can easily become an unorganized drop spot. Corral your cleaning supplies, lint roller, and dog’s leash on the wall so you can easily grab what you need. Identical wire baskets look instantly uniform on open shelves. Store any supplies you don’t need as often up top and keep your favorites down low. 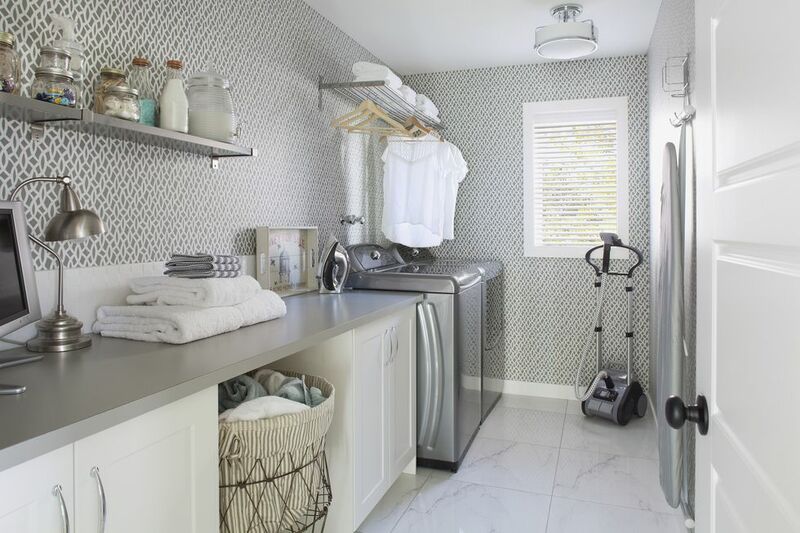 Follow designer Emily Henderson’s lead and stow your most-used items where you can easily get to them (even in between your washer and dryer!). Melissa George of Polished Habitat engineered this disposal system for lint using a plastic file box. Hang on your wall next to your dryer for easy use. Nothing looks neater than perfectly labeled baskets and bins. Try chalkboard labels so you can easily rewrite when needed.